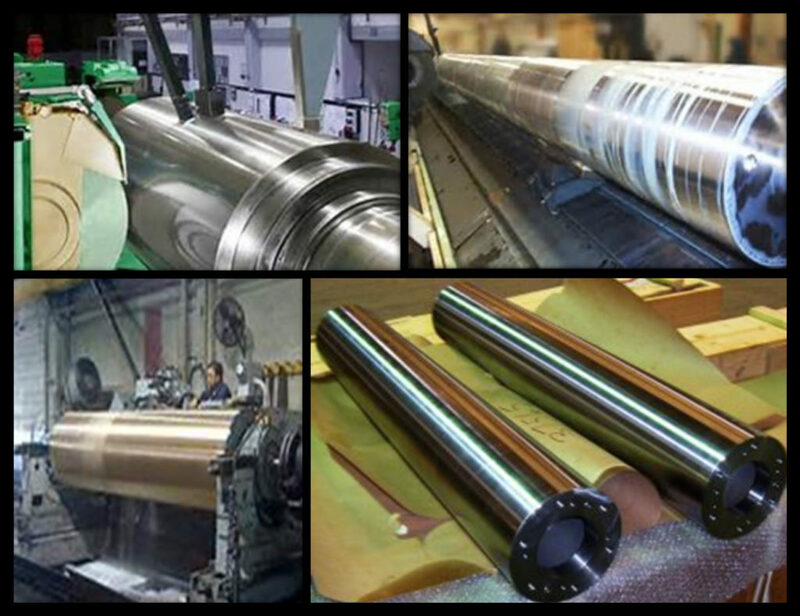 Rollcorp is an engineering and manufacturing firm that specializes in roll engineering and refinishing of heat transfer and single shell rolls. 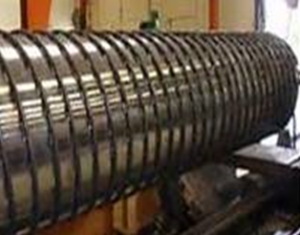 We provide design and roll fabrication for Web handling, plastic extrusion of sheet and thin plastics film. 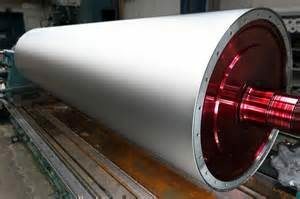 We also work in the coating, calendering and converting industries. 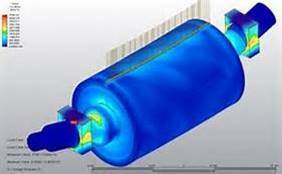 We provide application experience, design experience and advanced analysis/simulation. Let us help you with new product development and project management. 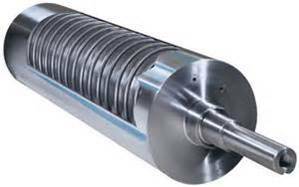 Rollcorp provides years of working in the field on rollers that are designed for plastic, paper, and converting industries. 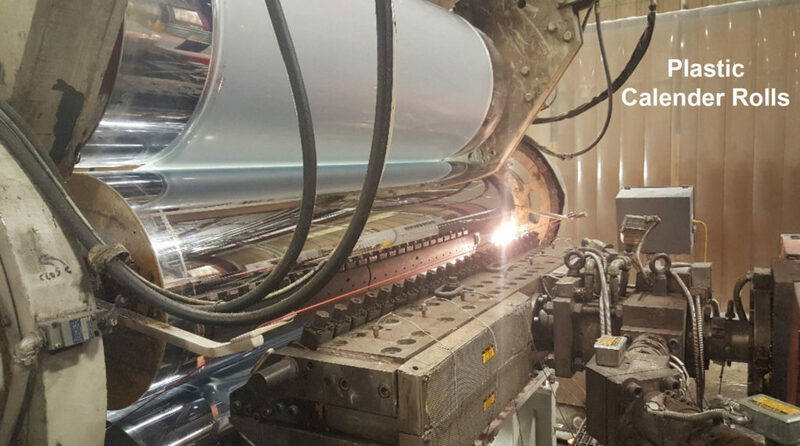 Our experience in process application allows us to help you in coating with applicators rolls, metering rolls and engraved rollers. 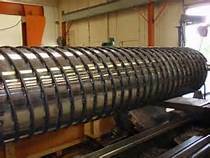 Rollcorp can help your solution in extruding your thick sheet .250, .500 to .750. 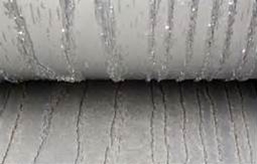 We can show you how to increase line speed, post emboss supply both the cores and engraved finishes on these rolls. 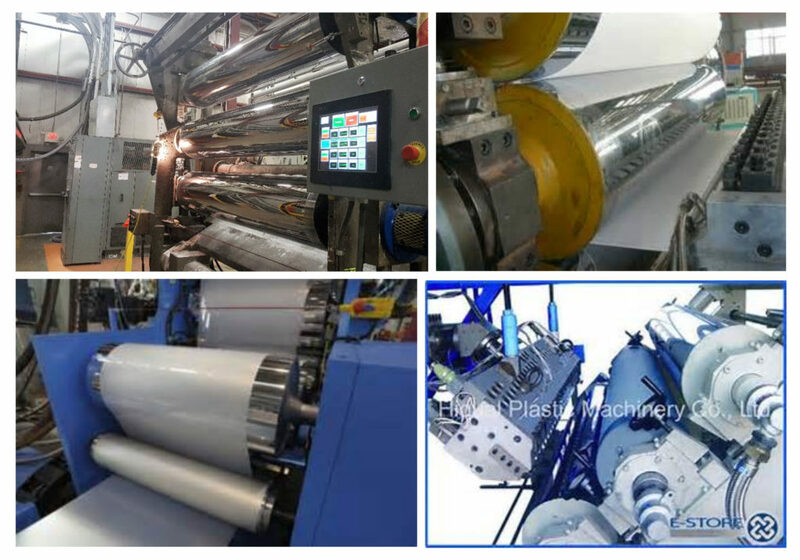 We also work with thin plastic sheet and film and a broad spectrum of industries. Working closely with the client ensures a good understanding of the product specifications and functional requirements. We work with your manufacturing facility to get the best solution at the lowest cost with maximum quality and efficiently. 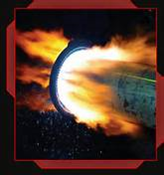 Removing Heat or Adding heat to the substrate, Rollcorp combines its broad design capabilities and experience with its advanced in-house analysis capabilities to deliver functional designs that are manufactural, cost-conscious, and minimize the product development turn-around time. 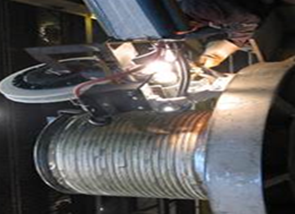 Rollcorp provides a host of professional engineering services and manufacturing services designed to meet a wide range of industry needs. 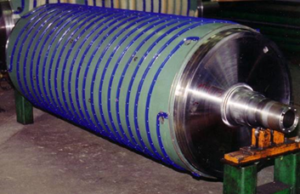 Manufacturing of rollers that are engineered to your system may require top tier analysis and we can provide in-house simulations. 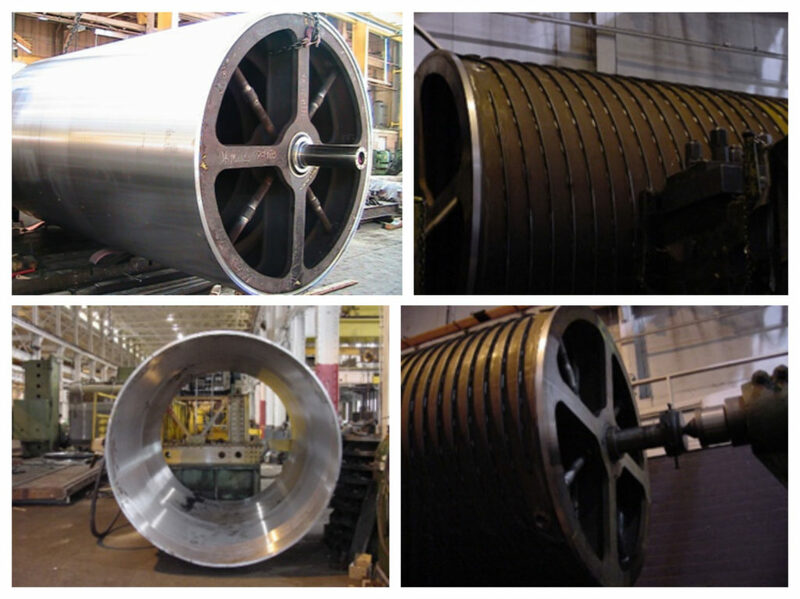 Rollcorp has the capability and expertise to make client projects, regardless of scale, an engineering and manufacturing success! 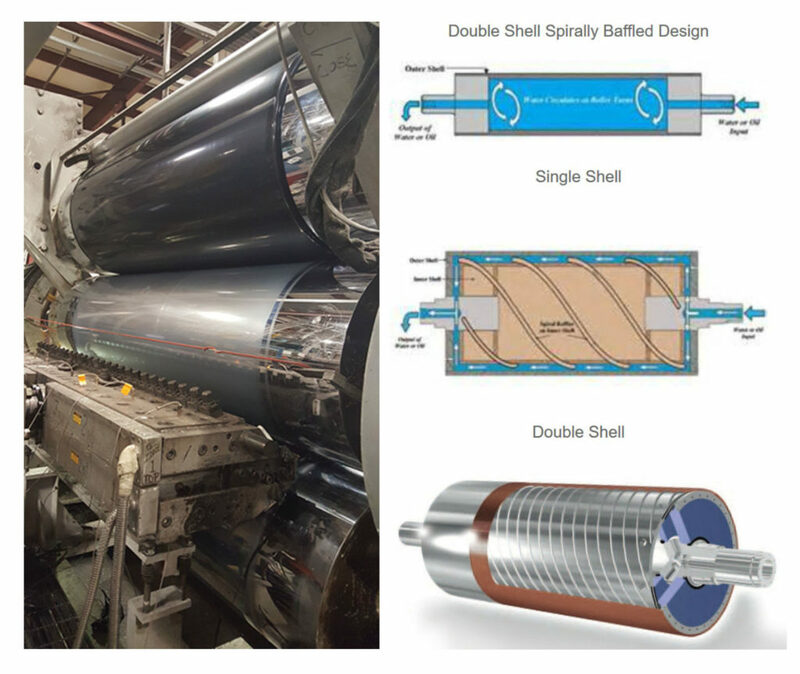 From small idler rolls to 96 x169 Double shelled heat transfer rolls, detailed design engineering plays a critical role in balancing the functional requirements with simultaneous manufacturing, cost, and time constraints. 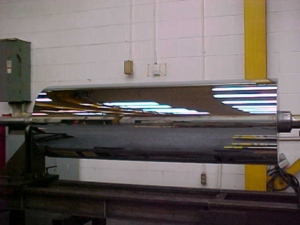 Our manufacturing facility can support our design team and our additional roll services. 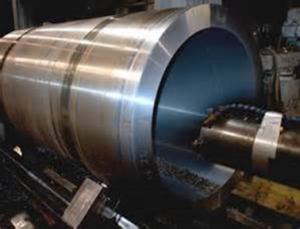 Rollcorp manufacturers have a wide customer base and, in some instances, the projects that their customers bring to them may not be as detailed as it needs to be, or the design may not take into account specific manufacturing constraints. 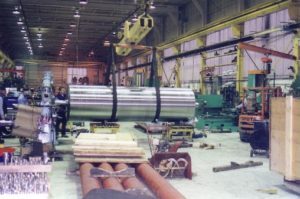 Taking the rough assembly, then machining both journals and roll bodies to develop geometry, preparing it for surface finishing and to the required diameters. 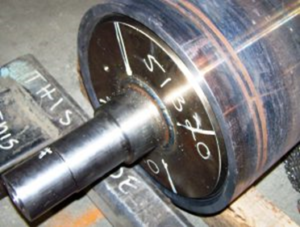 Grinding and finishing – Tolerances in the steel down to 0.0001, small and larger parts. 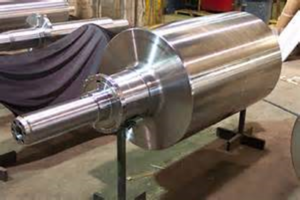 By designing rollers and generating engineering approval drawings prior to fabrication ensures that no detail is left unchecked. 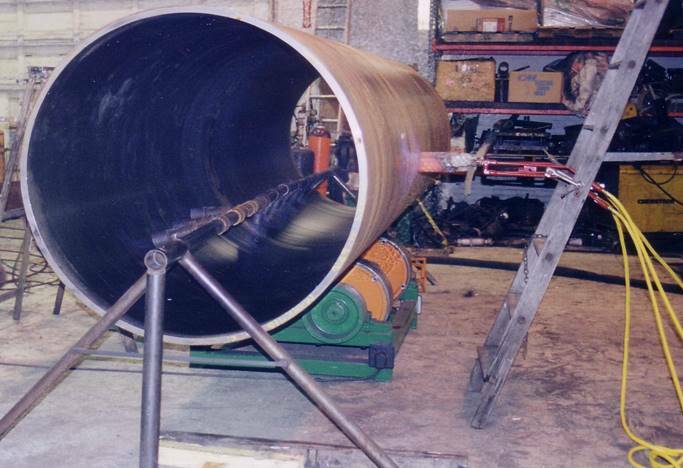 We design to incorporate the correct steel tube, wall thickness, turning, grinding, bearings, housings and finishing. 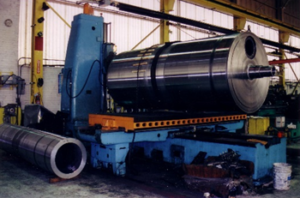 Rollcorp has worked with many contract manufacturing companies to lend direct engineering assistance to our clients/OEMS in designing rollers for new machinery, while also meeting delivery and cost requirements. That is where Rollcorp can help. 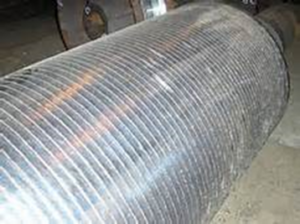 Many of your calender, plastic extrusion rolls, pre and post cooling rolls may be constructed from mild steel, Harden steel Stainless Steel overlay. 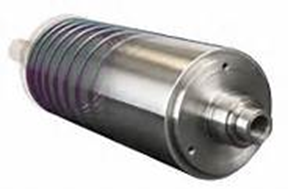 Single or double shell design, open vessel and even placing a inner shell inside the main shell to direct the flow of water to the outside of the shell to pull out more heat or add heat more efficiently. 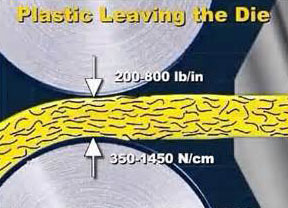 Plastic extrusion using a 3 roll stack configuration is the most common way to make film or sheet. 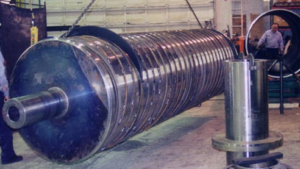 The most critical part of the stack are your calender or cooling rolls. These rolls not only cool the sheet but impart the finish. Weather your sheet or film is smooth, matte finished, or embossed. Rollcorp can help with roll design or with surface finish, we offer a verity of finishes both in chrome and in cast silicone for you sticky polymers. When designing a roll we take into account your film or sheet, the gauge and if its high density or low. 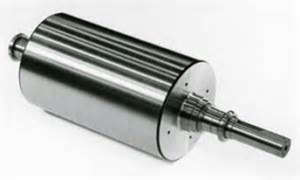 Machines which use harden surfaces, Davis Standard, Egan, Battenfeld Glouster, Welex, and the majority of high density thick gauge product. 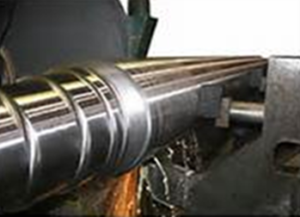 When it comes to finishing a roll’s we have expert solutions to serve your needs. Weather your looking for a glossy surface, matte finished or engraved surface we have the ability to finish the roller complete. 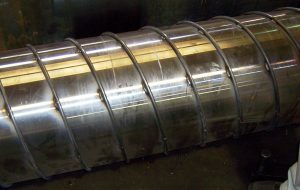 Green Roll – finished in the steel fine lathe finish or preground ready for finishing. Matte finishes can Range from fine – to extremely rough. Pregrain or Satin finishes Range 50Ra – 400 Ra are put into the base metal and the matte is blasted into the base steel then chrome plated. Matte Finishes from 50 – 600 Ra, wood grain, sand, haircell etc. 1000’s of surfaces at your finger tips. 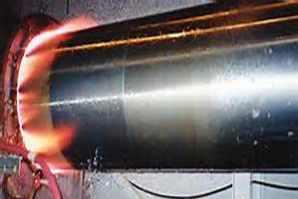 Thermal Sprays, Tungsten Carbide, Ceramic and release coatings.